My individualised strength and conditioning sessions will get you stronger, faster, much fitter and more flexible through a combination of drills/exercises to suit your age and ability. The sessions also incorporate use of a football so that technical aspects of your game can also be improved throughout the off-season. Current EJA coach and ex-football league academy coach. Borehamwood Youth FC Crusaders U12 are looking for a goalkeeper for the 2019-20 season where we will be moving to 11 a side at U13. Current school year 7 (season 2018-19) going into Year 8 (season 2019-20). We are a team that likes to play out from the back and get the keeper involved so if you want to do more than just stand around and save shots come along and train with us. We train on Wednesdays 6:30 - 7:30 pm and play matches on Sundays in the Watford Friendly League. Borehamwood Youth FC is a FA Charter Standard Club and a Nike Partner club. Borehamwood Youth U8 Knights are looking for players as we begin to prepare for next season as we go to U9 and play 7 a side. We play and train in Borehamwood and train Wednesday and Saturday and play on Sundays. Committed, organised and hard working coach is seeking an exciting voluntary management/coaching role in the Middlesex area for the 19/20 season. Only interested in the 11-a-side format of the game. Barnet Azzurri are recruiting for their current Under 10's team (Year 5) in all positions as we need to increase our squad when we play 9 a side next season. We are well known for the development of teams that play attractive and committed football. Barnet Azzurri is an extremely well run football club with close ties to the Jack Wilshere NCF Elites Academy and Barnet FC. Home ground is The Hive, Edgware (home ground to Barnet FC). Players Wanted Current U10 (year 5) moving to U11 for 2019/20 Season. Bushey Rangers are looking for players to join now ready for the U11's playing 9-a-side football next season, 2019/20. We will be holding open trials for eligible players on Saturday 27th of April, 9:30 - 11:00 a.m., at The Moatfield, Bournehall Lane, Bushey WD23 3JU. Edmonton Rangers are holding open trials for the 2019/20 season. We are a Chartered Standard Club and play in the Watford Friendly League. Please bring water, boots, shinpads and sports clothing. Location- Oakthorpe Playing Fields, Tile Kiln Lane, Palmers Green, N13 6BY. Do you have a passion for football at all levels of the game? Big Footballer TV is a community concept organisation that is dedicated to promote and raise awareness of Grassroots Football within the County FA jurisdiction, across the UK and other Boundaries. There is an opportunity to be part of the team that films the live Mid Week show or part of the field team, filming Saturday / Sunday League football matches. Either way come and join us and be part of this growing sports media team promoting Grassroots Football across the UK. Cheshunt Youth FC is now looking to build and strengthen the playing staff within all our Mid Herts and Eastern Junior Alliance teams for Season 2019/20. We are actively seeking players at all positions now, who already play regular and coached youth football this year, to a recognised high standard, and who would relish the opportunity to test themselves at an equivalent or higher level next season. Croxley Green FC U18 Whites (U16 season 18-19) are looking for experienced outfield players and a goalkeeper in preparation for next season (2019/20). Players currently in Year 11 at school. The club is based in Croxley Green and we play in the West Herts Youth League. We train on Wednesday evenings on a brand new 4G pitch. Croxley Green FC is an FA Charter Standard club, with FA qualified coaches. Cheshunt Blacks FC U14's for the coming 19/20 season (school year 9 from Sept.) are looking for boys to strengthen our squad, we will look at boys in every position. We play in the Mid Herts Rural Minors League Premier Division. We train Tuesdays and Thursdays and play games on Sunday. Training is held at our club on our state of the art 3G pitches. We want boys who are committed to learning, developing, working hard and who want to play football the right way. We are just coming to the end of our most successful season to date and in preparation for next season we are looking for 2 outfield players to join our squad. Players currently in Year 8 at school. We play in the Mid Herts Rural Minors League. 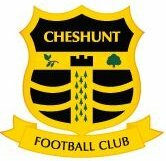 Our matches are on Sundays and our home pitch is in Cheshunt. We currently train Monday evenings in Hoddesdon. Aldenham FC Excel are forming a new U16s team starting from a core of players from this season's U16 team. We will play in the Watford Friendly League and we are looking to recruit players currently in year 10 going into year 11 for the 2019-2020 season. We are looking for boys who are committed to playing football and improving their footballing skills. We play on Sundays at Queen's School Hertfordshire and will train in Borehamwood. 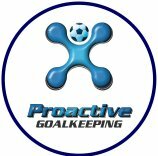 Proactive Goalkeeping offers the opportunity to be coached by ex-Venezuelan international goalkeeper, Mikhael Jaimez Ruiz. Mikhael has the experience to work with elite young goalkeepers and professionals too. The camp promises quality, professionalism and fun. April 9th, 16th (U9 – U11) 9:00 a.m. – 3:00 p.m.
April 10th, 17th (U12 – U16) 9:00 a.m. – 3:00 p.m.
Barnet Azzurri are recruiting experienced outfield players and goalkeepers for the current U12 (Year 7) teams and in preparation for next season. A successful current under 10 (year 5) team is looking for players for next season. Edgware Town Reds (current under 10s team) are moving up to 9-a-side next season from Sept 2019 and are looking for two strong outfield players to help them in the top Watford Friendly League. This team has a great record so far this season and wants to continue it into next season. Home games are played in Bushey on Sundays. Training in Bushey on Monday nights between 6:00 -7:00 p.m. where trials will be taking place from March. Once again I am pleased to inform you that we at Bushey Rangers are holding our Annual 6 a-side tournament to be played at Moatfield on Sunday 30th June 2019. We are having age groups from Under 7 to Under 14, (evidence of age may be required). U-7 & U-8 will be 5 a-side with a squad of 8. Entry fee will be £45 per team. A reduced payment of £40 per team will apply if received before February 28th 2019. All ages will be in competitive groups with semi- finals and finals. Winners & Runners-Up will each receive a medal and the winning team will also receive a cup. The Tournament will start at 9:00 a.m. with some teams starting at 2:00 p.m. depending on numbers in each age group. All places will be allocated on a first come first served basis. 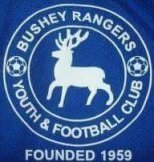 Entry fees must accompany your application form with a cheque (do not send a post dated cheque) made payable to Bushey Rangers FC or a bank transfer to the following Bushey Rangers Account details: Sort Code 40-15-23 Account no. 11417878 listing your team and age group as a reference. Your team will only be entered once an application form and correct payment has been received. In addition to enjoying lots of good football there will be a range of refreshments available including a BBQ, fruit stall, ice creams, and a licensed bar (opening at 12 noon) as well as other entertainment which will be announced closer to the event. The closing date for entry is the 31st May 2019. Entries after this date will be placed on the reserve list. Please complete the entry form in BLOCK CAPITALS and return to the Club Secretary. Final confirmation with full details and tournament rules will be sent out after the 17th June. Please ensure your e-mail address is written clearly and is case sensitive to avoid missing out on any correspondence. £40 Entry either online bank transfer or cheque. Refreshments in the form of hot and cold food/drink and parking available.